We strive to go beyond our customer's expectations with leading edge technology with superior EDM micro hole popping, EDM small hole popping and high speed popping. We help solve our customer's requirements in manufacturing from beginning to end with our highly skilled and trained workforce. We can provide help with EDM hole popping in machining of wire safety holes or starter holes in parts where the hole is at an angle or on a curved surface and conventional popping would be exceptionally difficult. 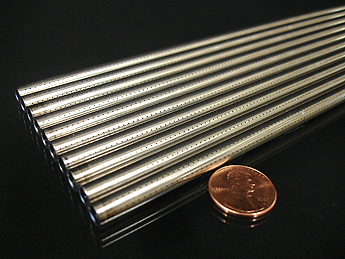 Variety of burn hole patterns can be machined per specification. Hole popping EDM work pieces of up to 1000 lbs. and 20 inches thick can be machined. Climate-controlled 20,000 sq, ft. manufacturing facility houses engineering, EDM machining, inspection, grinding departments and machine shop. Wire Cut utilizes maximum expertise in the technology and engineering of EDM small hole popping. 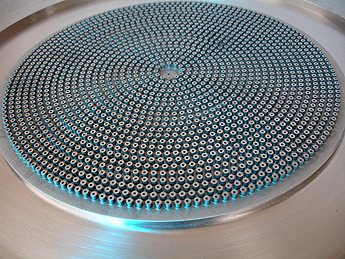 We meet and exceed our customers specifications with EDM hole popping, small and micro applications. Including EDM micro hole popping with burr-free results.